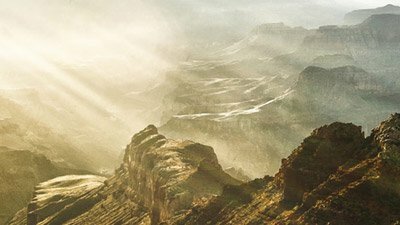 With astounding photos and expert analysis from geologists, theologians, historians, and others, Grand Canyon: A Different View provides a biblical perspective on this magnificent canyon. What provoked the presidents of seven geological societies—representing around 100,000 geologists and paleontologists—to write a letter of protest to the superintendent of Grand Canyon National Park? A picture book offering a ‘different view’ on the origin of Grand Canyon. 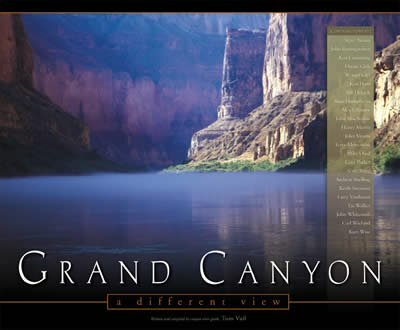 The new creationist coffee-table book Grand Canyon: A Different View is currently being sold at the Park Service bookstore at the rim of the canyon. More than just a coffee-table book, it presents scientific evidence from some of the best-known creationist scientists and theologians of our time. Harsh words and big demands for a little book. Don’t Let Anyone See That Book! The apparent instigator of the incident was Dr Wilfred A. Elders, a professor at the University of California–Riverside, who ran across the book while visiting the Canyon. Incensed, he published a scathing review of the book’s “absurdities” in the 23 September 2003 issue of the geophysics journal Eos. Dr. Elders noted that the book’s editor, Tom Vail, is “a Colorado River guide who is well acquainted with the Grand Canyon at river level.” (In fact, Mr. Vail has led more than 150 Canyon tours over the past 25 years. He has worked with AiG, too, to host rafting tours—including two scheduled for this summer.) Elders noted that the book’s contributors “comprise a veritable “Who’s Who” in creationism,” including Dr. Henry Morris, Dr. John Whitcomb and Ken Ham. Three months later, the superintendent of Grand Canyon National Park received a letter of protest (see below), signed by seven high-powered presidents of various scientific societies. The PEER press release also attacks the deputy director of the National Park Service, Donald Murphy, for restoring three religious plaques at the Grand Canyon, which the park’s superintendent had removed earlier (see Remove God from the Grand Canyon?). Apparently a few brave souls in the Park Service and the Bush Administration, who believe in freedom of speech, want to give the public an opportunity to learn alternatives to the prevailing evolutionary view of earth history. And what do these people get for their efforts? Even after all that creationists have published, these evolutionary geologists remain unwilling to acknowledge the most basic truth: both views of earth history are based on the same facts, but scientists use different frameworks for interpreting these facts. See Searching for the “Magic Bullet”. 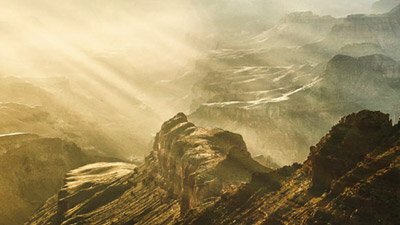 It’s simply untrue and deceptive to claim that those who believe in a young earth are “anti-science” and that the book Grand Canyon: A Different View “aggressively attacks modern science.” In fact, three creationist scientists made poster presentations of their radiometric dating research at a conference of the American Geophysical Union (AGU) in December5—and all three of these men (Dr. John Baumgardner, Dr. Russell Humphreys and Dr. Larry Vardiman) are contributors to Vail’s Grand Canyon book. Dr Austin made his discovery, in part, because he believed the Genesis framework for interpreting the geology and history of the world. Evolutionists missed the story because they were not looking for evidence of catastrophe on such a massive scale. Vail commented: “I’m not surprised at the letter. The book presents a different view, one that goes against the grain of everything they [evolutionary geologists] believe. Without an earth that is millions of years old, the entire evolutionary house of cards falls apart, and think about what that would mean to those that have been trying to “prove” this theory their whole careers. Not only does their theory crumble, but their worldview crumbles with it. Why Such an Incredible Attack on Free Speech? It is difficult to understand why a coffee-table book could spark such a massive response. Perhaps it helps to remember how fearful it is for man to acknowledge the existence of a Creator who has revealed Himself in Scripture. The God of the Bible has given us an eyewitness report of His works, and He warns us that we are accountable for our deeds—as He proved by inundating the whole world with a Flood in Noah’s day. The Lord is watching us all, including the men involved in this incident at the Grand Canyon National Park. Hurrah for the Davids (including those in government), who are willing to stand up against the giants who mock the God of the Bible and who seek to suppress His truth! It has come to our attention that a book espousing a particular religious interpretation of the Grand Canyon is being sold in bookstores within the Grand Canyon National Park under the guise of a being a scientific explanation for the origin of the canyon. 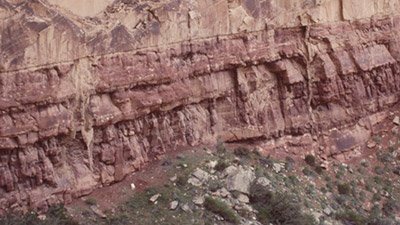 The book, The Grand Canyon: A Different View (compiled by Vail, 2003), makes claims about the age of the rocks and the formation of the canyon that are at odds with the well-documented scientific understanding of Earth history. The book is not about geology but, rather, advances a narrow religious view about the Earth. We urge you to remove the book from shelves where buyers are given the impression that the book is about Earth science and its content endorsed by the National Park Service. The National Park Service should be extremely careful about giving the impression that it approves of the anti-science movement known as young Earth creationism or endorses the advancement of religious tenets as science. The book aggressively attacks modern science and broadly accepted interpretations of the geologic history of the Grand Canyon. As such, any implied approval or endorsement by the NPS for the book and others like it undermines efforts to educate the public about the scientific understanding of Grand Canyon geology. The Grand Canyon: A Different View is not about science and we strongly urge that, if it remains available in Grand Canyon bookstores, it be clearly separated from books and materials that do discuss our scientific understanding of Grand Canyon geology. As you know, the Grand Canyon provides a remarkable and unique opportunity to educate the public about Earth science. In fairness to the millions of park visitors, we must clearly distinguish religious tenets from scientific knowledge. We appreciate your prompt attention to this matter. When and How Did the Grand Canyon Form? The American Geological Institute has made the entire letter available at http://www.agiweb.org/agi/gap/legis108/grandcanyon.pdf. Elders, W.A., Different views of the Grand Canyon, http://www.agu.org/journals/eo/eo0338/2003EO380005.pdf, Eos 84(38), 385, 2003. PEER press release, http://www.ems.org/rls/2003/12/22/religion_on_disp.html, 22 December 2003. American Geological Institute, Political challenges to the teaching of evolution (12-23-03), http://www.agiweb.org/gap/legis108/evolution.html#recent. ICR website, RATE posters well received at AGU conference. Blievernicht, E., Report on the 5th International Conference on Creationism, August 3-9, 2003, http://www.rae.org/ICC2003.html 20 August 2003.